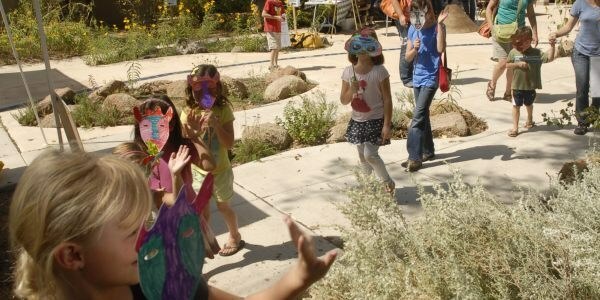 Information about out of school time activities and programs for youth in Albuquerque. 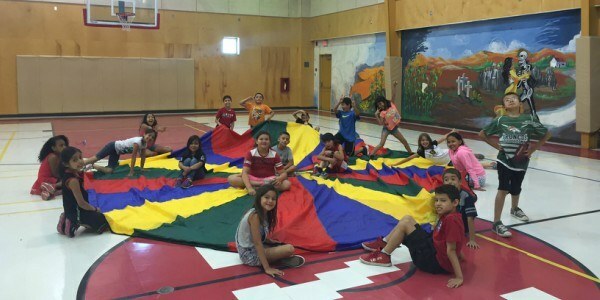 View educational and recreational opportunities for Albuquerque youth this summer. 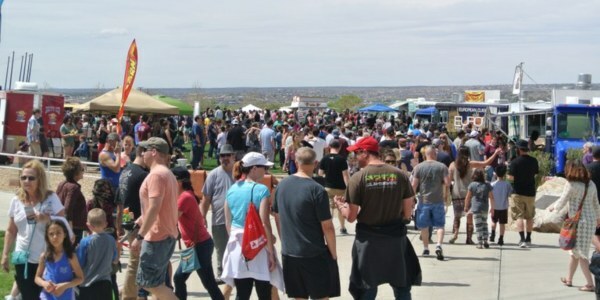 Out of School Opportunities enrich the lives of youth in Albuquerque by creating a community of safety and inclusion. Sign up to receive the Youth Connect Quarterly Newsletter. 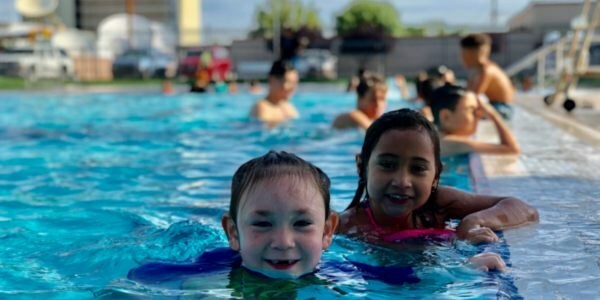 Take part in one of the City’s many Adventures in Aquatics opportunities like learn to swim lessons, aerobics, water therapy, diving, kayaking, snorkeling, and youth triathlon classes offered across 12 aquatic facilities. 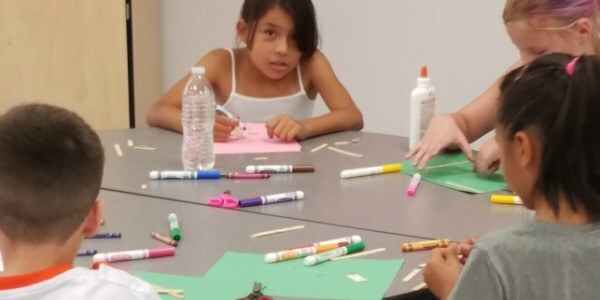 North Domingo Baca or Manzano Mesa Multigenerational Centers offer programs for children between the ages of 5 and 12 years old. 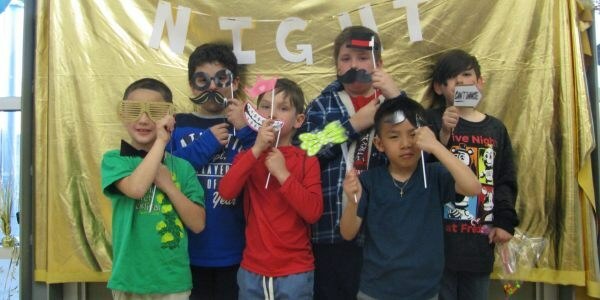 Children healthy snacks and take part in an array of activities such as time in the game room, and computer lab, arts and crafts activities, homework assistance and outdoor recreation. 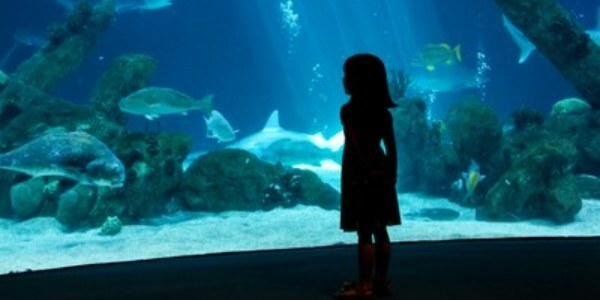 The ABQ BioPark offers a variety of day camps and classes throughout the year including Camp BioPark, Aquarium Overnights, Evening Programs, Spring Break Camps, and Preschool Programs. 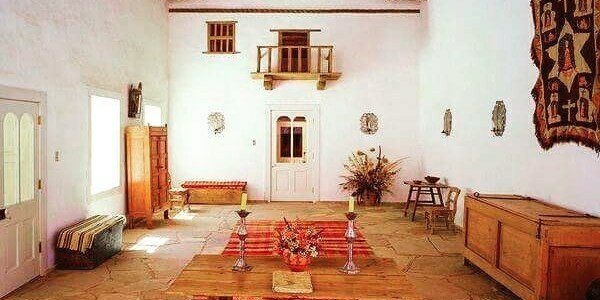 Enjoy free programming at the historic Casa San Ysidro every Second Saturday from February to November. Now Enrolling! 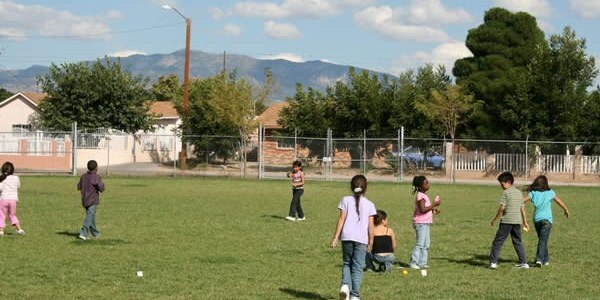 The City of Albuquerque operates 25 child development centers in neighborhoods throughout the city. 21 centers are accredited by the National Association for the Education of Young Children. FREE to children ages 5 to 15 years old. 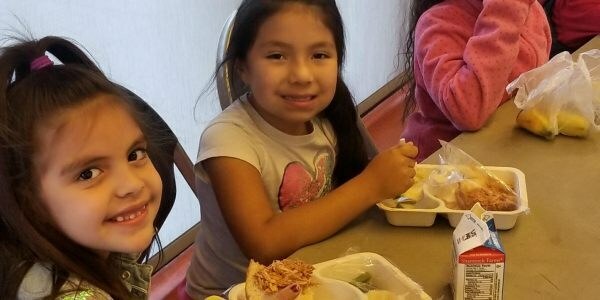 At each of the 22 neighborhood community centers, children enjoy snacks and dinner and take part in an array of activities such as time in the game room, computer lab, arts and crafts activities, homework assistance and outdoor recreation. 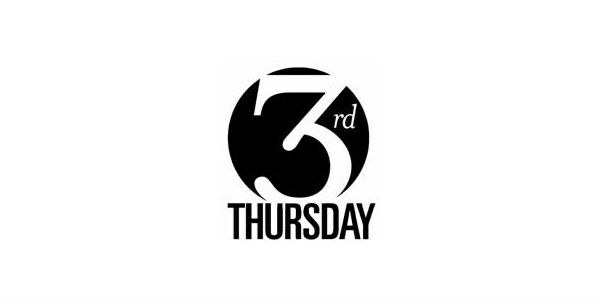 Every 3rd Thursday of the month from 5-8:30 p.m. the Albuquerque Museum hosts free community orientated events that include live music and performances, hands on art making activities, and selects gallery exhibits. Need a bike or need to fix an existing bike? 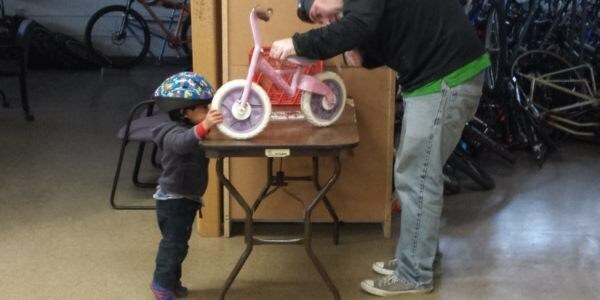 Visit the Esperanza Bicycle Safety Education Center. Take part in an open bike clinic or attend one of many classes on bicycle safety, road use and traffic law, mechanics, and riding skills. 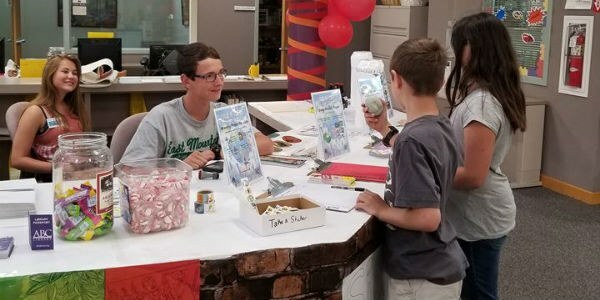 Teens, Tweens, Toddlers, and families can all find a program or activity at Explora! Camps for pre-K through teens are led by trained educators in Spring, Summer, and Winter Break, and school holidays. 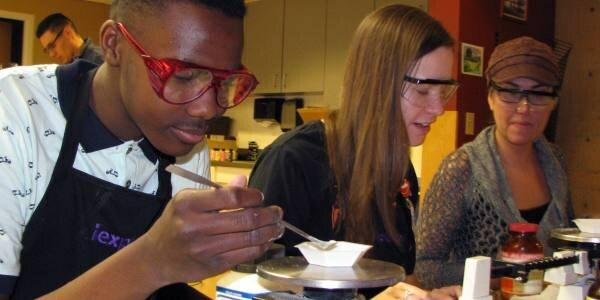 Summer Youth Apprentice Program offers 3 weeks of STEM activities for ages 12-15. Plus we have Teen Science Cafés, Monday Toddler Time, and many semester-long, weekend, after-school and preschool educational enrichment programs. Pre-registration and/or fees may apply for some programs. 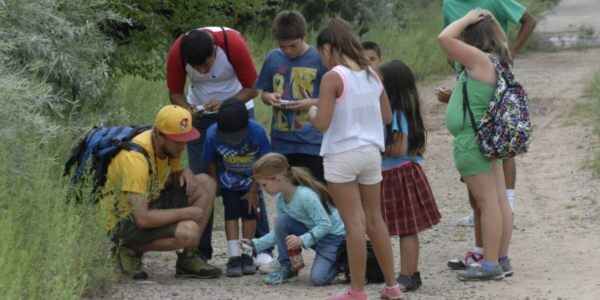 Explorer camp provides an opportunity for kiddos to experience nature and develop a deeper understanding about the world around them through experiences and project based learning. 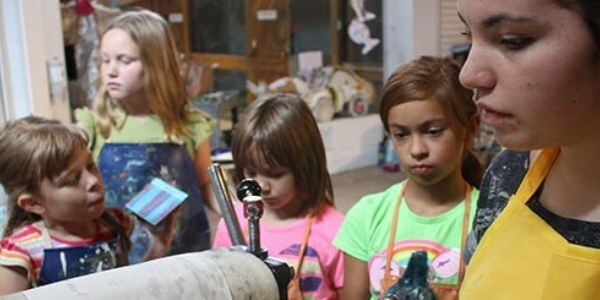 Every Saturday from 1 to 2:30 p.m., families can create a work of art inspired by what they see at Albuquerque Museum. A different project every week! Free with Museum admission. 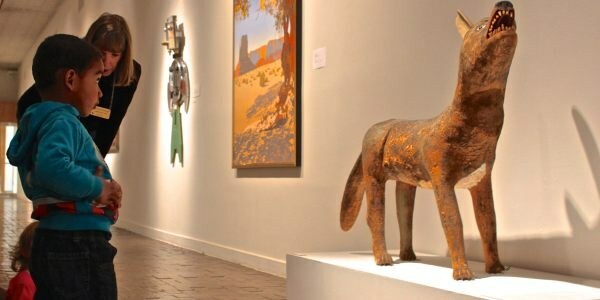 Admission to the Albuquerque Museum is free on the first Wednesday of every month and every Sunday 9 a.m.-1 p.m. Admission to the Balloon Museum is free on the first Friday of every month and every Sunday 9 a.m.-1 p.m. 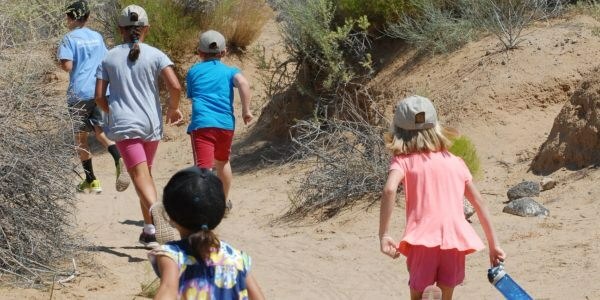 Guided Hiking programs youth ages 12- will be provided out of the OSVC will take hikers around to various Open Spaces and Hiking trails in the Petroglyphs, Tijeras Bio Zone, foothills, and Bosque. Join a Lego club, Storytimes, take part in a Read to the Dogs gathering, early literacy, music, dance, crafts, and performers all at your local library! 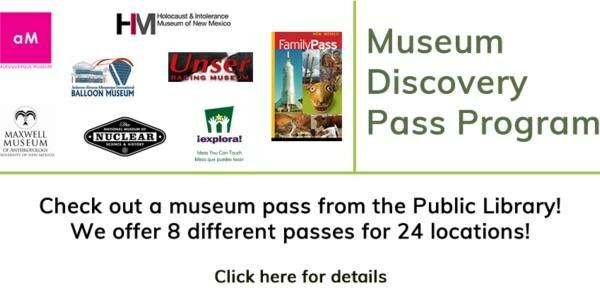 Use your library card to borrow a pass for free entrance to museums in Albuquerque and New Mexico state museums and historic sites. 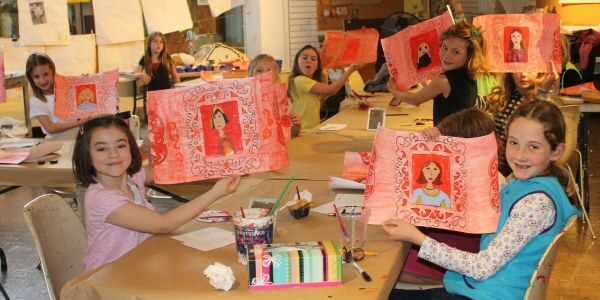 Make the Museum your classroom with art classes for children ages 4 to 15! Study many disciplines inspired by the works in the Museum. Self-guided tours and activities are provided at the Open Space Visitor Center for families to experiences and enjoy together on the Bosque and Wetland and through the OSVC’s gallery installations. The Playground Recreation Program offers school year recreation programs for children 6 through 11 years old at 26 elementary schools and 3 community centers during the school year. 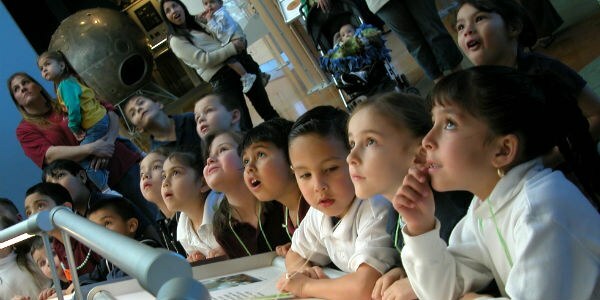 Young visitors to the Balloon Museum will enjoy stories, music, and movement during Stories in the Sky. Each week offers new excitement and learning. Each Wednesday there are two sessions: 9:30-10:15 a.m. and 11-11:45 a.m. Lessons are $35 per child per 2 week session. Register at any pool or online. 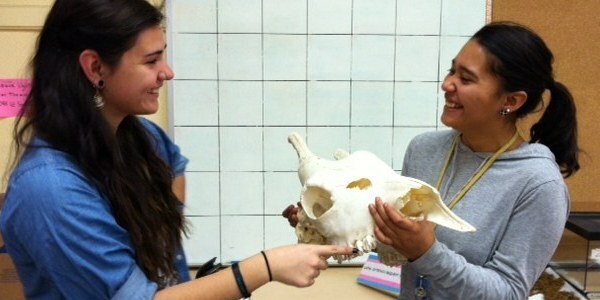 BioPark Nature Guides, Conservation Camp Councilors, Aquarium TouchPool helpers, and the student volunteer program offer engaging volunteer opportunities for teens. 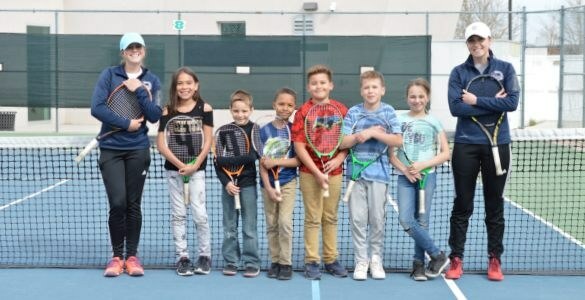 Tennis lessons are available at the Jerry Cline Tennis Facility or the Sierra Vista Tennis Center. Register for tennis lessons online or by calling Jerry Cline at (505) 224-6682 or Sierra Vista at (505) 897-8815. Therapeutic Recreation programs are fully inclusive, and are offered throughout the city for persons with and without disabilities, age 6 through high school. Therapeutic Recreation offers a variety of services that include art, leisure education, performing arts, gross motor activities, and games.